American Repertory Theater of WNY will present the fifth production of the 2018-19 season with the stage adaptation of Truman Capote's famed novella Breakfast At Tiffney's. Written by American playwright Richard Greenberg, the work follows one of Capote's most endearing literary figures, 'Holly Golightly' as seen through the eyes of an up-and-coming writer nicknamed 'Fred'. A love story...of sorts, Richard Greenberg's adaptation Breakfast at Tiffany's is based primarily on Capote's novella and not upon the famous 1961 movie with American film icon, Audrey Hepburn. Mixing comedy, absurdity and profundity, Breakfast at Tiffany’s tells the story of a young Southern-born writer who becomes infatuated with his Upper East Side neighbor, the beguiling, effervescent beauty 'Holly Golightly'. As she pulls him up in her world of spontaneous parties and luxury, he finds himself fascinated with this captivating woman, her quirks and her mysterious past. In this narrative background complete with a group of eccentric denizens of NYC, Breakfast at Tiffany's mixes comedy with a poignant observation into what truly constitutes Love. 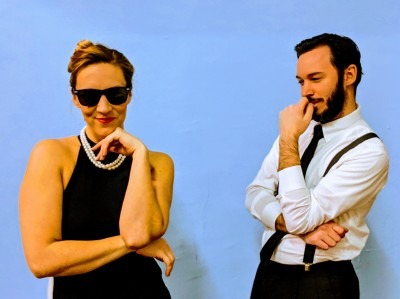 ART/WNY alumni and local theater awards nominated director, Matthew LaChiusa oversees a talented ensemble including local theater awards nominated Candice Kogut in the role of 'Holly Golightly' and Ryan Kaminski who makes his second ART/WNY show as 'Fred'. The rest of the ensemble is rounded out by company alumni Derrik Reynolds, who plays both 'Joe Bell' and 'OJ Berman', Robert Insana as 'Doc Golightly', with company newcomers Heather Casseri as 'Mags Wildwood', Chris Wagner as 'Rusty Trawler', Dewel Perez as 'José Ybarra-Jaegar' and Elizabeth Oddy as 'Madame Spanella'.